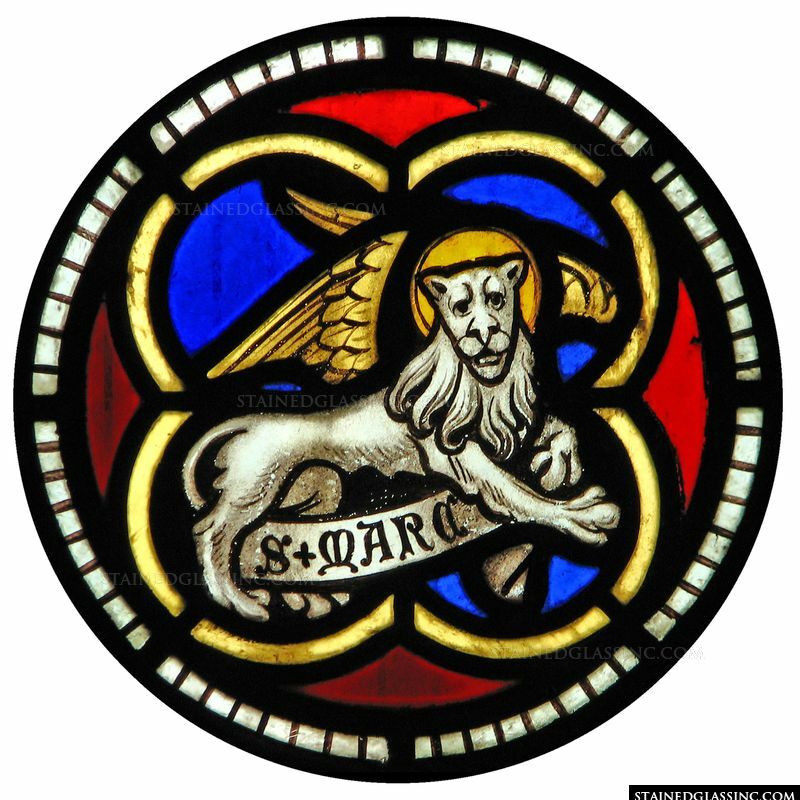 Saint Mark is traditionally represented by a winged lion in stained glass images, as is the case here. 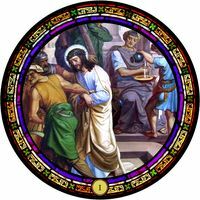 Believed to have written the Gospel of Mark, he is the patron saint of Venice and Glaziers. 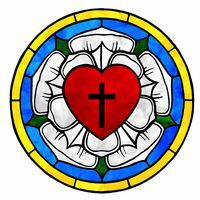 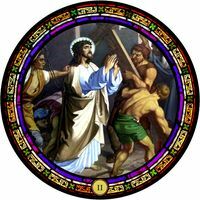 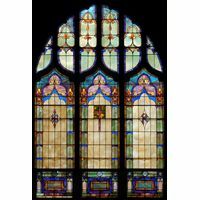 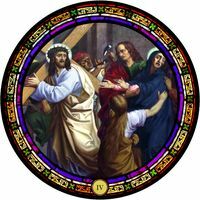 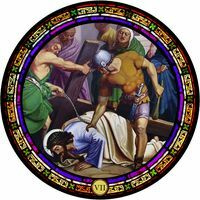 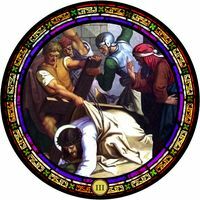 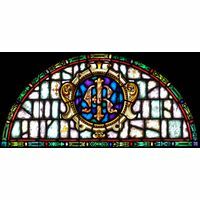 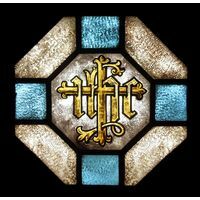 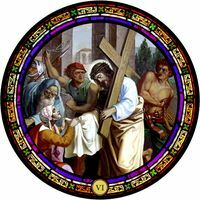 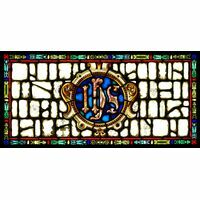 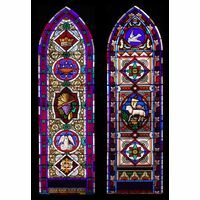 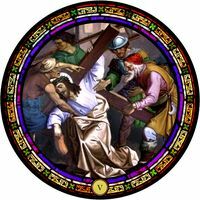 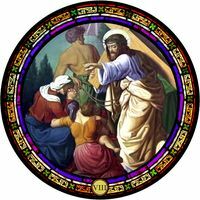 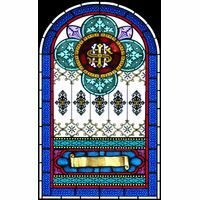 Add beauty and inspiration to your church, cathedral or home with this timeless piece of stained glass art. 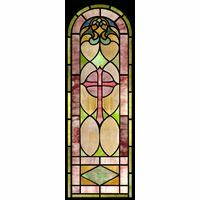 Panels are customizable and can be sized for door or window inserts or a window hanging.